Fill a large pot with water 2 inches from the top. Place over high heat and let come to a boil; add 2 teaspoons of the salt. 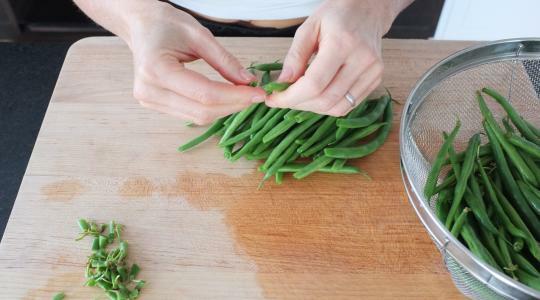 Remove the stems from the beans. Add the beans to the boiling water and cook until just tender, 3 to 5 minutes. Drain into a colander and pass under cold water to stop the cooking. 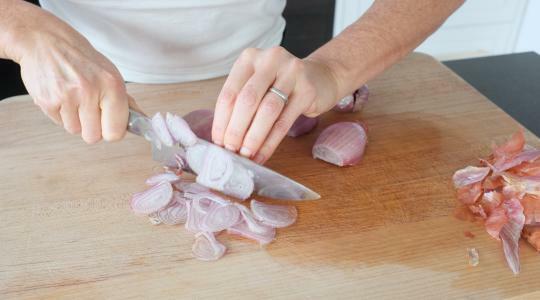 Thinly slice the shallots into rings. 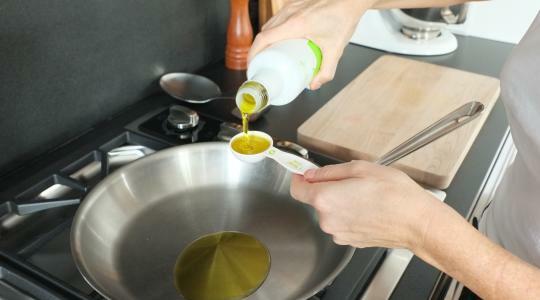 In a large skillet, heat the oil over medium-high heat. 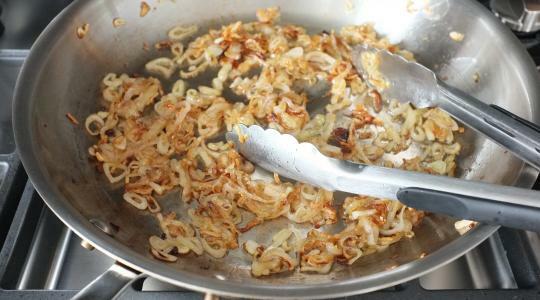 Add the shallots and cook, stirring often, until golden brown and caramelized, 5 to 7 minutes. 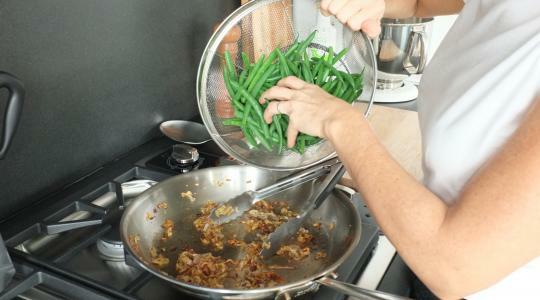 Add the green beans and toss to coat until heated through. Season with the pepper and remaining ¼ teaspoon salt. Toss once more and serve.